I cannot figure from the information if the light is hitting the fabric directly, or is it hitting some reflector? The light from each fixture illuminates the screen directly; there is no internal baffle needed. The RingMAXX is designed to work with 4 light heads but can be operated with an uneven lighting pattern as well. RingMAXX is designed to work with 4 independent light heads that can be individually adjusted for your desired look (usage of a minimum of two lights is recommended for sufficient non- directional lighting effects). The best lights to use with RingMAXX (and this is true for all softboxes) are a “hot spot” on the diffusion screen. The RingMAXX does come with internal dividers (flood gates) that contain the light in each of the four sections for ultimate light control for directional and non-directional lighting styles. 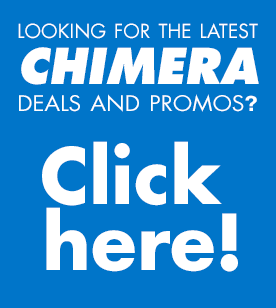 https://chimeralighting.com/wp-content/uploads/2017/08/chimera-lighting-logo-copy.png 0 0 Chimera Lighting https://chimeralighting.com/wp-content/uploads/2017/08/chimera-lighting-logo-copy.png Chimera Lighting2017-02-21 13:33:362017-07-03 13:35:46I cannot figure from the information if the light is hitting the fabric directly, or is it hitting some reflector?